Vintage at its finest! The sidechain on this compressor really allows you to dial in the frequency you want to bypass from the circuit letting your bass come out without getting to compressed! Good for Trap, Reggaeton, Reggae, Rock you name it! I held off on the G Compressor upgrade for awhile because I was so pleased with the legacy. I finally caved and I have the result... Clarity! The original is truly great but the update is a surprising improvement. Clarity, more transparent and has less mud but still with that wonderful 80’s glue. Thanks again UAD! Wie immer ein perfektes Produkt von Universal Audio. updated version of an already near perfect emulation. hard to believe UAD made this better, but they did! 5 stars! UAD words can't explain how much I'm blown away by this version itz just to hardware like and I'm glad I upgraded and kinda learned how to use this gem any newbies out there reading this post get this GEM and put it as the first plug on the master buss and if you have the slate VTM to pair with it by GOD I hope you do. Run your mix through it and just play around with it and just listen it will change you forever musically UAD you ought to be ashamed LOL for doing so good LOL WOW!!! I used the waves SSL for a while and really loved it. When I demoed this beast I absolutely couldn't believe what I was hearing. Actually kind of comical the degree to which it slays the waves (which, by the way, is no slouch). This is definitely one of my desert island plugs. Best and musically Comp. for me ! Working well on group or mixdown! Waves one stunk in comparison. Having the side chain and mix knob alone make this worth it. but what i wasnt expecting was the actual sound of the compressor to be significantly different from the legacy version i had previously. This compressor adds width in a way the old one doesnt which can make it useful on modern music which i didnt use the legacy version on. Overall totally wroth the upgrade if you like the SSL style compression on your buss! Se siente casi como uno real. Tremenda compra. It is an essential plug-in for mix and mastering. It is a plug-in like Thor's hammer that guides every sound to the right direction. This thing is my go-to for clean, exciting compression. It doesn’t color the sound like some of the others, but it’s got character and sheen. Wonderful. i have almost the complete colection of UAD plugins . All of them are life changers !! SSL Glue , Distressor , Culture Vulture , Ampegs, 1176 etc everything have made my music sounds a lot of steps higher !! I have used the old AAL 4000 G Bus compressor for many years and I think its great and gets the job done. But this update is really a so much better. I did not think it would be a difference but its huge! Great work UAD! The Best of the World!! 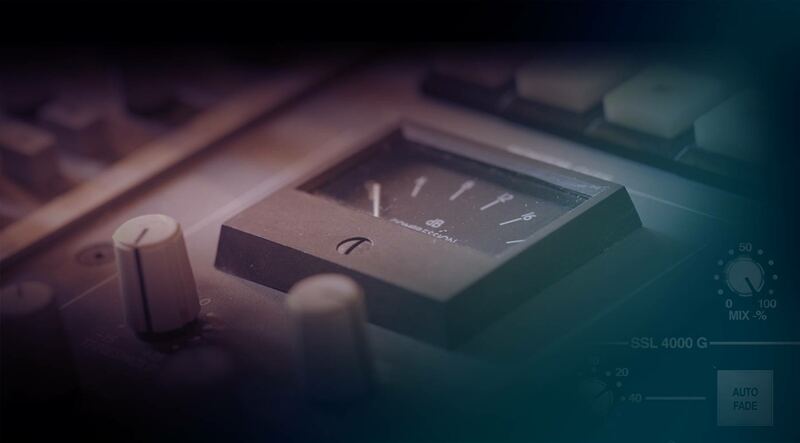 This compressor is a must have in your plugin collection. It’s super easy to use and its the subtle glue that holds stuff together. Love it on the master bus!